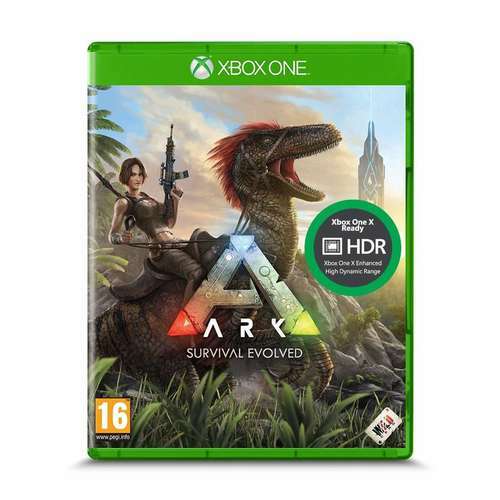 Ark Survival Evolved Xbox One released on August 29th in 2017. This followed an extremely successful early access campaign that began on Steam on June 2 in 2015. The multiplayer survival game had established itself as a popular game, especially with online Twitch gamers long before its official release. It’s success was easily transferred to the other platforms when it was released in full. In Ark, players start with nothing and must build shelters and a base. This is done by creating tools with the resources they can find in their surroundings. From primitive beginnings, players are able to craft items and grow crops. It is not long before they become aware of the primaeval creatures roaming the land around them. The dinosaurs are one of Ark's biggest selling points. They can be found everywhere from the shores of the mysterious island the player inhabits to the centre of dense jungles and other environments. Players hunt and harvest the land in order to make progress. Eventually, they can go so far as to kill or tame the dinosaurs they encounter. Once tamed, there are a huge number of options for how the players can customise their new companions. This includes a wide variety of unique armour and weapons. Ark Survival Evolved Xbox One allows friends to inhabit the same island and play together. They can cooperate to progress much faster or they can join larger servers where the other players may not be so friendly. Having friends to help transforms the game into a much greater experience since groups are capable of completing much greater projects and player deaths are much less of a setback.